Each year black bears from our national parks and surrounding areas are orphaned, injured or in need of medical care. Thanks to Appalachian Bear Rescue, these bears are cared for and released back to the wild. Appalachian Bear Rescue added 22 new photos. This is a massive post of a very busy day. Daffodil decided she’d had enough of The Red Roof Recovery Center, The Cajun Twins are so chubby they’re threatening to topple their climber and The Beary Triplets have outgrown their pen in The Cub Nursery. The Curator decided there was no point in postponing the inevitable. Daffodil would just become more anxious, Boudreaux and Beignet have spent most of their lives inside a building and need to see the outdoors and The Beary Triplets need more room to play. Daffodil was first to move. The curators placed the HRH 4000 carrier at the entrance leading from her room to the adjoining Acclimation Pen. She was persuaded with a spray of water to enter the carrier and was transported to Acclimation Pen # 3. Daffodil was rescued on March 28, 2019, and spent a few days in the ICU at The University of Tennessee College of Veterinary Medicine. She arrived at ABR on April 2, 2019, weighing 11.46 pounds (5.2 kg). Today, she weighed 23 pounds (10.43 kg). It will take time for Daffodil to get used to her new surroundings, but one of the first things she did was visit The Food Wheel, a good sign. Her pen adjoins Wild Enclosure #3, the home of Hartley and Sweetie Bear. We don’t think Daffodil will be in the Acclimation Pen for long; she needs to be back outside where she belongs. After Daffodil moved, it was the Ragin’ Cajuns turn. Curator Coy worked most of the afternoon getting the adjoining Acclimation Pen ready for the cubs. Then he raised the gate leading from their rooms and waited for the cubs to exit. They were more interested in playing. They played. And played. Finally, Boudreaux took a step into the Acclimation Pen and visited the Food Wheel, but Beignet sat at the gate, preventing Coy from closing it. Boudreaux came back to continue playing. This could have gone on for hours. Curator Coy made noise at the door and the cubs scurried into their Culvert Den. He picked up the den and placed it so it faced the Acclimation Pen. No luck, the cubs wouldn’t come out. At last, he just picked up the den and placed it in The Acclimation pen, like a barrel of monkeys only with cubs. They came out, looked around…and climbed! They need the sight, sound, and smells of the outdoors almost as much as they need food and water. The Beary Triplets did not go gentle into the carrier: Hucklebeary and Blackbeary gave the curator several swats for his trouble and a well-placed bite or two. Of course, Curator Coy wore welder’s gloves and wasn’t hurt, but it’s reassuring to see the little cubs behave just as they should. The Triplets weigh about 8 pounds each, a good size for cubs their age. We look forward to chubbifying them some more. Many of our friends commented on the absence of The Arrows. We rely on them to point out objects of interest (nubbins, caboose curvature, cubby poop etc). The Arrows have taken unauthorized vacations before, but we usually get a postcard from them. This time there was nothing. We enlisted the help of Volunteer Assistant to the Curator, Jake Dalton, to solve the mystery. He spent days following their scent, over hill and dale, never veering from his purpose. At last, he located the arrows in a parcel shipping facility where they were working as “this side up” indicators on boxes. When confronted, the arrows confessed the job gave them the opportunity to travel, something we know they like. We pointed to their signed contract, threatened legal action and accompanied them to the front office where they resigned and agreed to return to ABR. We thank the Temp Agency who sent the Number Balls to cover for the arrows; we wish them the best of luck in their new career at a Bingo Hall in Upstate New York. This IS AN EPIC POST, LOVE THE BEAR UPDATES and happy the arrows were retrieved! Certainly a busy, but, productive day. Good night, sweet dreams!! Wow.....what a productive day! Well done ABR! Happy cubs 🐻❤️🐻. Love the update! Thank you for sharing the massiveness of a very busy ABR day! Get some rest, y'all! Hope the ABR cubbies/yearlings are happy with their new surroundings. Omg....the Ragin’ Cajuns..... the Arrows..... wonderful laugh for the day, Thank You! I absolutely LOVE all of your messages and stories!!! Such entertainment!!!! Keep up the great work!! I so love the imaginative way you share your daily reports. Thank you for the wonderful care you provide these beautiful creatures and the entertaining way you keep us informed. Wow y’all had a very busy day. I bet Curator Coy sleeps well tonight. Wonderful productive day. They will all enjoy exploring their new homes. What an awesome post! Thank you for letting us enjoy all the goings-on today! I'm so glad the arrows are back in their proper place! I have to say Curator Coy is my favorite! I have known him for years and he is an amazing person! This is the funniest post yet. Loved it and love the bears are doing well. Well done ABR. Loved the adventures of the day! Good job, Curator Coy and good hunting job of Jake to find the arrows. I am sure the number balls will enjoy the Bingo Hall in Upstate New York. A deserved rest by ALL! Appalachian Bear Rescue added 5 new photos. Our five cubs of the year are doing well. Curator Coy is in The Cub Nursery cleaning the left side of the Beary Triplets’ pen; the occupants are piled on the left side, waiting for him to finish. Beignet and Boudreaux were up early, murdalizing each other, then retired to The Culvert Den to continue. The cubs are strong and succeeded in tearing down their rope swingy toy in Room #1. It’s been replaced with a blue swingy ball they’re sure to enjoy. Daffodil is resting on her bed, her food bowl still beside her. The curators are happy she’s digesting solid food so well and isn’t showing any evidence of discomfort as it passes out. Sweetie and Hartley Bear are somewhere in Wild Enclosure #3. They’re in separate trees and difficult to see. We catch a glimpse of them occasionally, but they will be down to forage later today. Thank you for such a great update! I'm so grateful Daffodil is healing so well, and growing stronger. Those eight paws of rambunctiousness are truly, truly entertaining....maybe it's something in the bayou water! Love my cubbies...all of them...however they are. And Sweetie and Hartley? True heart stealers!💓 Thank you for all you do for them. You guys are the best! I'm sure Daffodil keeps that magic bowl close since it fills with yummy things to eat! So glad everyone is doing well and can hardly wait for Daffodil to be in an Acclimation Pen, and the Beary Triplets to move into a bigger space. Will the Ragin' Cajuns share the Cub House with the triplets, or will they be heading to an Acclimation Pen soon? Thanks for a cheery morning update! Best news about all my favourites 😃! B&B are fantastic with all their energy 💕💕! Nice that they have a new ball to play with. So good that Daffodil eats well and has no pain. It's good to have the foodbowl nearby when there is so much good food 😃! Good morning to all! Looks like everything and everyone is doing well at ABR! Happy for Daffodil that she is doing so well! Those Cajun Twins are something else! So happy that they have a second chance to be able to play and tear the place up! Thank you for the update! I love “murdalizing.” As a professional writer and editor, I’m all for inventing new words, and that one is perfection! Thank for the awesome news. Strong bears! Thank you number dots for the help in identifying beary things. I miss the sassy arrows. Have they gone on vacation? I have to as a question, the triplets did one of them pass away because I only see you mention the 2. When I went to ABR a little over a week ago I bought some pics but they only had 2 of them as well. We were in Cade from Sun through Thursday did I miss something? Love seeing them every morning and afternoon! Looks like a nice calm day. Ever active. Just call them the Eveready Twins. Appalachian Bear Rescue added 8 new photos. The Ragin’ Cajun Cubs are thriving and so are the other six residents. The Beary Triplets got to try new food: one of their bowls contained Greek-style and blueberry yogurts mixed with a small amount of formula and topped with chopped fruits, including grapes and blueberries. The other bowl had chopped baby food chicken wieners, chicken baby food, applesauce, chopped plums, pears, and grapes. Do not be fooled by the photo! The Triplets are rarely still. They descend on their meal like tiny tornadoes, and like tornadoes, there was a considerable mess afterward. No matter, the cubs loved their dinner, and what they didn’t eat, they wore proudly. Daffodil, residing in The Red Roof Recover Center, got a large bowl filled with Greek-style yogurt, blueberry yogurt, applesauce, and grain-free soft dog food, 3 chicken baby food wieners, blueberries, grapes, a quartered pear, a quartered yellow apple and a quartered and pitted plum. She ate with gusto and then brought her bowl to be, reclining on her back. Hartley is somewhere in Wild Enclosure #3. We include a photo to illustrate how quickly the vegetation is growing and how difficult it is to spot a bear who doesn’t care to be spotted. Sweetie, however, came out to take a swim. She’s a very good swimmer and it’s good to know she isn’t so intimidated by Harltey’s presence that she neglects her laps. Beignet and Boudreaux are wrecking stuff. Good bears! Now through Thursday (04-25-19) only! Surprise your mother with this ABR Mother's Day Special. The special includes a Mama Bear T-Shirt, a 5" x 7" picture of the Beary Triplets, and a box of Willa's Shortbread BlackBeary cookies. Loved the video and I want to thank ABR for all the marvelous work you do on these bears. If not for you these precious cubs wound not have a chance to be and live in the wild. You are truly amazing to me. These babies all look so healthy and happy. I've watched them all. From start to finish and I'm just so thankful there is a place called ABR. Thank you so much for the update and awesome video! You all do a wonderful job!!! Great video!! Beignet gives it right back to bigger brother. I love that Daffodil 🌼 is eating!! Sweetie is a swimmer! The triplets are thriving and Hartley is a furry independent bear he has come a long way. ABR you all are amazing!!! Lots if good food for all of the bears and the best is that they love i 😃! Love the photos if Sweetie swimming in the pool, it is really elegance and grace 😃💖. First off, I cannot believe the energy these two have! They are so amazing to watch. I can't help myself to wish I could just blow a big raspberry on their fat little tummies and pat their fat little round butts and nubbins! Of course, would never happen, but just saying, lol! Also, ABR... I love the music you play with the videos. Can you share any info on the different groups that the music comes from. I think my favorite is the one with the piccolo or recorder or maybe flute? Thanks for all you do. All the bears are so precious and I am so proud of all of you for your loved, dedication, and very hard work to help improve this world. Nature desperately needs champions like you ! God Bless! Thanks for the video and the photos.they are delightful to say the least. I think I will come eat with the bears, their meals are wonderful! Glad they are are doing well enough that they can experience all of the goodies ABR gives them. Sweetie does like the water, has Hartley ever gone for a swim?? Everyone have a good, peaceful night! Looks like all is well at ABR! Thank you for sharing the pictures and updates! Good night little bears! Cubbies are so cute and playful! ❤️❤️❤️🐻🐻🐻 I ❤️ ABR!!! Oh how I love these little bears! Everybody’s happy! Good bears 🐻! We’ve resolved our technical difficulties and present for your enjoyment 13 minutes and 41 seconds of two very busy cubs. Beignet and Boudreaux decided to remove the bedding from their den. Cubs are easily distracted; it took them a while, but they did accomplish their task. Notice how their balance and coordination have improved. In the wild, they’d be expected to climb much higher than we allow. We’d prefer they practice their skills closer to the ground before they graduate to tall trees in the Wild Enclosures. *We post updates on our residents twice daily, morning and evening. Wow, they are so extremly cute and have so much energy 💕💕! What a project they had today 😂! They seems to have so much fun together when they are playing and exercising! So lovley to see them nap so thigthly together 😍💖💖! That was AWESOME! They are soooo adorable. I can't imagine what they would do if you turned them loose in your house. Oh my, I didn't not think I want to go there. You work so hard caring for all these sweet animals. It has to be very hard work, but pays such dividends. Thank you for bringing such fun and brightness toy day. These two are so precious! I love when they lay on their backs all squirmy and kicking their feet. Mission accomplished! 🐻🐾 The music was great too! Love the video! Thank you for sharing these with us! No doubt about it...this is home! They are adorable and funny! I love the end shot with them snuggled together sound asleep! I just love to see these babies playing. It does my heart good to know they are safe and well fed so they can have fun as babies should. They are just so much fun!!! I could watch these two all day long! So precious! Thank you for sharing this beautiful video of Beignet and Boudreaux and giving them a second chance in life! So love watching B & B at play! Hard to believe they were so tiny and Beignet so close to death. I am really going to miss them when they have to be returned to Louisiana. Gosh, at the energy these two have!! They are so cute! Just precious! Busy baby bears! They are so much fun to watch. I must be part bear since I too am easily distracted and cannot stay on task! What is the music playing in the video? I would love to have a CD of that if it's available. We’re having technical issues with our Facebook page, so we’ll post this brief morning update, and follow with a more detailed special afternoon post. All bears are doing well; Beignet and Boudreaux are eating breakfast and not wearing it…at least for now. Good morning ABR and little chubby bears! Thank you for the update! With apologies to Dr. Seuss and Horton Hears a Who, an update's an update, no matter how brief. Thank you for taking such good care of those bears! WOW what good manners our Cubbies have , so proud to see them act so well behaved . Thanks for our Morning smile. They look so healthy! Thank You for taking such good care of them. 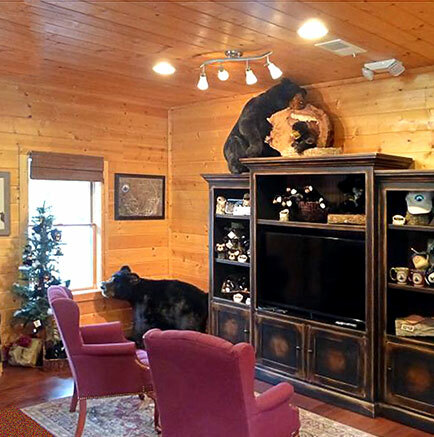 This bear room would make an excellent cat room as well. Not together obviously! I swear it seems like you can see them growing bigger every day. They are putting on weight fast. Which is amazing considering how hard they play everyday. Thank you for all each of you for everything you work so hard for the Cubbies. You are greatly appreciated!!!!!!!! Thank you...they are growing quickly!!! Good morning to all at ABR and our bears!! Thanks for the update. I look forward to it each day. Have a wonderful day! Always brings a smile! Thank you. Little chubbies! Any & all updates are much appreciated. Beignet’s growth has been an absolute pleasure to watch. The Cajun twins are beautiful! And Hartley!! And Daffodil!! The progress and growth!!! Will the Cajun twins return to Louisiana? The Twins are gaining weight and looking cubbies!! A great progress. They eat in separate dishes. Good little bear! They look like they could go on other food soon. Morning! B&B are really growing. Boudreaux really looks like a big boy in this photo! 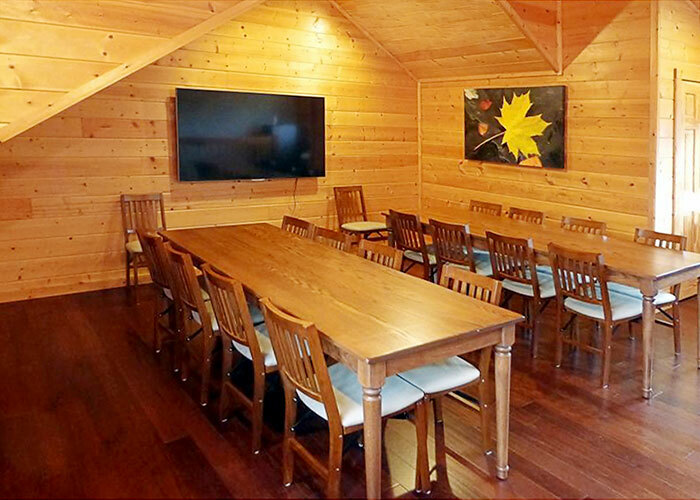 Join us for our 2019 Bear Necessities event at Janis and Jerry Cunningham’s beautiful farm in Walland, TN. 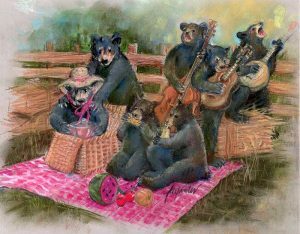 Appalachian Bear Rescue (ABR) is a black bear rescue facility located just outside of the Great Smoky Mountains National Park in Townsend, Tennessee. ABR is a nonprofit, tax-exempt organization that has been returning black bears back to the wild since 1996. Each year black bears from our national parks and surrounding areas are orphaned, injured, or in need of medical care. Thanks to Appalachian Bear Rescue, these bears are given a second chance at life in the wild. 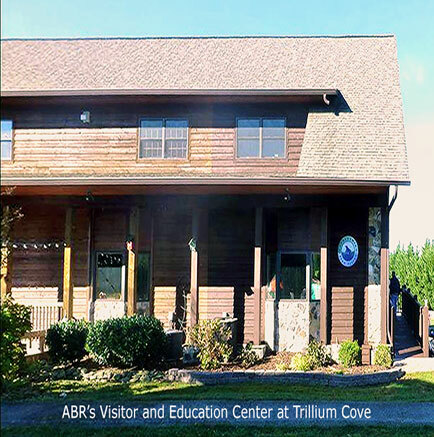 Come visit us at our Visitor & Education Center at Trillium Cove! Trillium Cove Shopping Center off East Lamar Alexander Parkway on Highway 321 in Townsend.